A charming town in the province of Rome, located in the area of the Castelli Romani, along the north-western side of the Alban Hills, Frascati is famous not only for its beautiful villas, but also for the production of a fine white wine, Frascati DOC. Probably of Etruscan origin, Tusculum was subjected to the power of Rome, becoming soon, a resort for noble patricians, attracted by the beauty of the landscape. The town's current name derives from the use of "frasche" (branches) to cover the first shelters. In the XI century, Frascati was assigned to the family Conti, while in the XVI century it was ceded to the Colonna that, shortly thereafter, sold the estate to Pier Luigi Farnese, who, at his turn, sold it to the Camera Apostolica, ending the feudal period of Frascati. This gave way to a new period of social, cultural and economic development with the construction of several beautiful villas built by the noble Roman families. 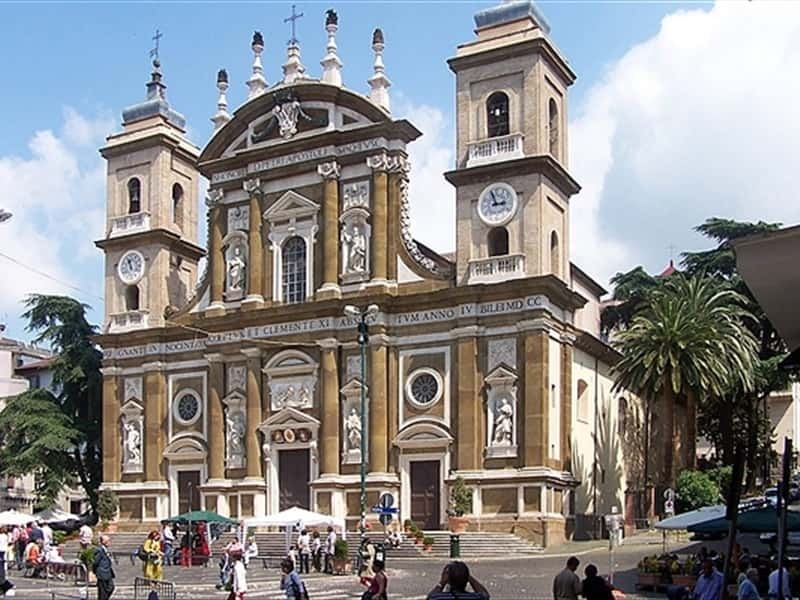 Severely damaged by the heavy bombardments of World War, Frascati is one of the most stylish and popular centres of the Castelli Romani. - the Fountain of Piazza Paolo III. This town web page has been visited 54,759 times.